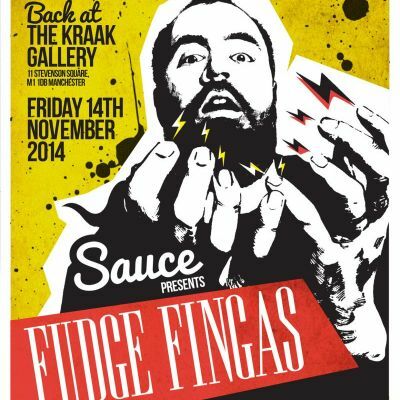 It’s straight back to business at Sauce HQ after our 1st birthday bash in September. And we continue the Linkwood Family theme, with Gavin Sutherland AKA Fudge Fingas taking the helm! This Edinburgh-based artist has been making music – give or take – all his life. He’s a talented multi-instrumentalist who plays a style of deep house that is hard to pin down but very much his own. His discography dates back almost a decade and is teasingly small with only a sprinkling of highly covetable 10″s and 12″s to his name, on labels like Firecracker and Prime Numbers. From jazzy workouts, to mind-bending deep house, via rough and ready techno, and psychedelic soul jams, Fudge Fingas tracks are emotive, impeccably produced, and have featured on mixes by artists as varied as Amé and Joy Orbison. …All this whilst running Edinburgh’s last surviving independent record shop ‘Underground Solu’shn’. You know the drill by now and if you don’t, you will after this! £6 in, 11pm kick off!